Iceberg! Straight ahead in the form of a new TAX Canadians will have to pay as of Monday April 1st | En-Pro International Inc. This is no April fool’s joke. Or maybe it is. Adding carbon to the list of taxable sins is certain to have its unintended consequences. When it comes to sin taxes, history has proven that they don’t often change behavior. Taxing cigarettes doesn’t stop people from smoking and taxing alcohol doesn’t mean people won’t drink. 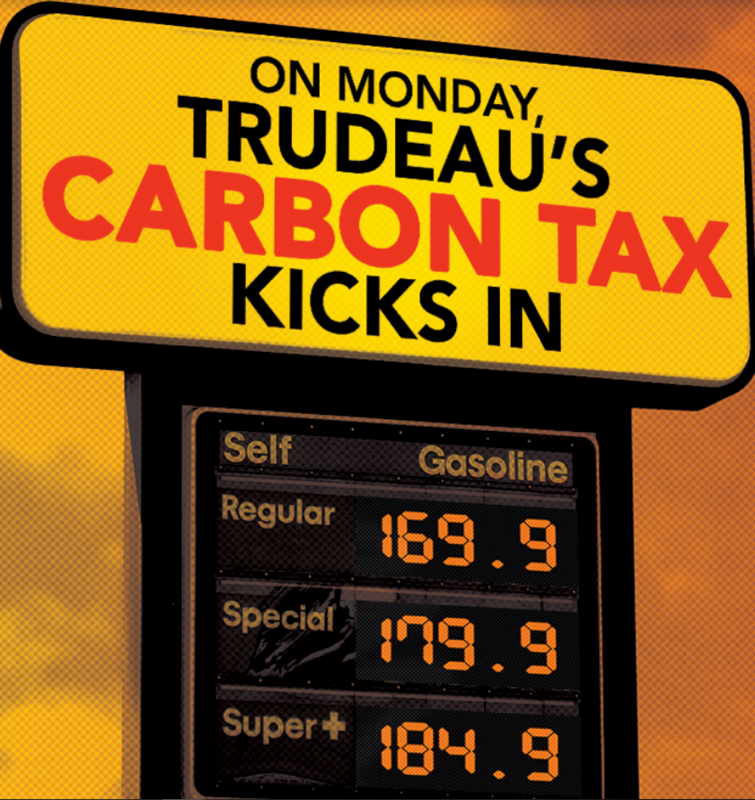 While heating your home and driving to work would seem more of a necessity, Prime Minister Trudeau plans to tax you for doing so as though you have other options. Perhaps we can choose to drive to work every other day and call in sick the rest of the time. Maybe we can all sleep in our winter parkas and bathe in cold water as a warm house and hot shower are pure sinful luxuries. Obviously nobody is going to do that, instead we will continue to buy the fuel needed for our cars and our homes will continue to be heated but at the end of the day there will be less funds available for other purchases. That is where the unintended consequences come in, and who they hurt are those who have no influence whatsoever on the carbon we all emit. It will be the stores whose merchandise we can’t afford, the restaurants whose meals we can’t afford to eat, the resorts we can’t afford to vacation at, the colleges we can’t afford to send our kids to, and the list goes on. Worse yet, taxing manufacturers on the carbon they emit introduces an unrecoverable cost that lessens their competitiveness with our neighbours to the south, which in turn eats into their bottom lines. Who does that impact? The workers, their wages and benefits. The architects of this tax need to go back to the drawing board.